Are you ready to get fancy with your advertising? 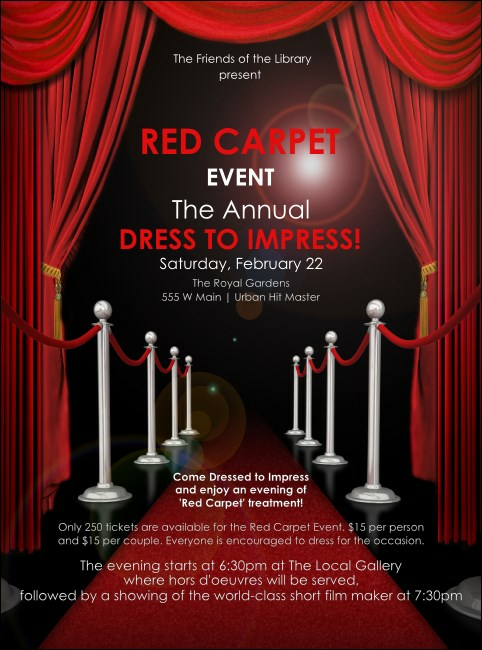 Dress up your pre-event promotions and advertise your next formal event in advance with Red Carpet Flyers. These impressive Flyer templates feature a dark red and black background and seventeen lines of text for you to customize with all your event details. TicketPrinting.com helps you advertise like a star!